2 lane dry slide. This is a dry slide only, no water. 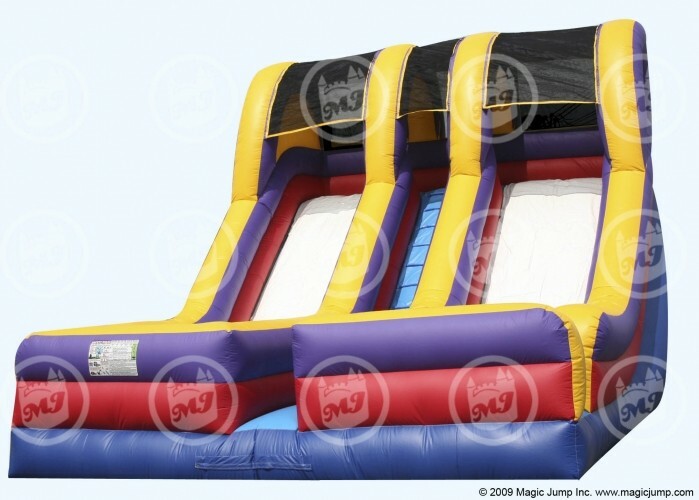 2 lane dry slide measures 24 ft. L x 18 ft. W x 15 ft. H. 1 entrance and 2 exits. This unit does not use water, it is a dry slide only. Availability of unit for sale depends on current reservations.